I was invited to a Baltimore Media Moms night out on the town this past week and had the chance to get a sneak peek of three family friendly activities in Baltimore. No compensation was received beyond the fun night out, I was not asked or required to write anything about the experience, and all photos and thoughts are my own. I’ve lived in Maryland now for over 15 years and yet every so often I get the chance to experience this area as if for the first time. I love all that there is to do and see in the Baltimore/Washington DC area, and I especially love that so much of it is extremely family-friendly. The other night, I was invited to a #MomsLoveBmore Media Moms night out with fellow bloggers…and we had a blast walking through Baltimore’s beautiful Inner Harbor visiting a few of the BEST family attractions in Maryland after-hours. Our first stop was the fabulous Port Discovery, a hands-on children’s museum that was ranked among the top 5 children’s museums in the entire country. We got to do a little dancing, skateboarding and biking in the Kick it Up exhibit…and let me tell you – riding a child-sized bike is TOUGH on the tooshie (and legs)! 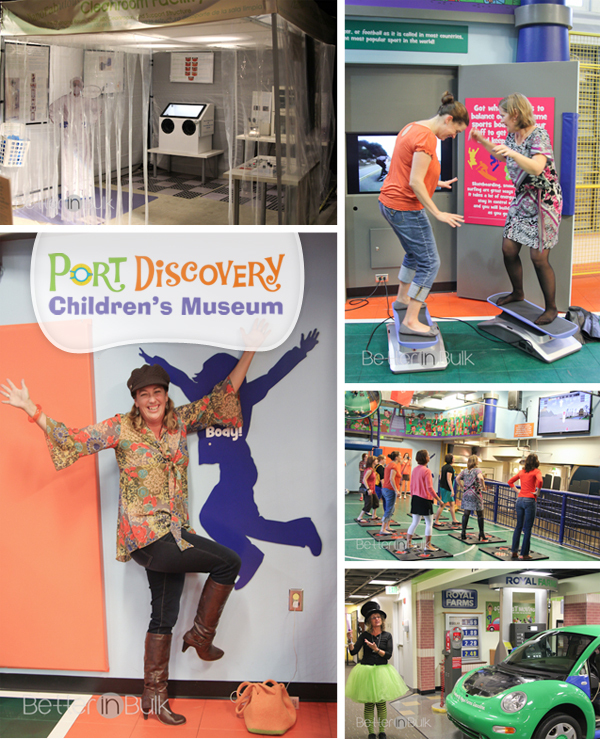 Features: Port Discovery has 3 full floors of interactive, educational exhibits and programs designed for kids 0 to 10. Whether they’re climbing and sliding through Kidworks, a 3-story urban tree house, or exploring Ancient Egypt in Adventure Expeditions, there is SO much to do! Even though the museum is geared toward kids up to age 10, I saw plenty that slightly older kids would love. 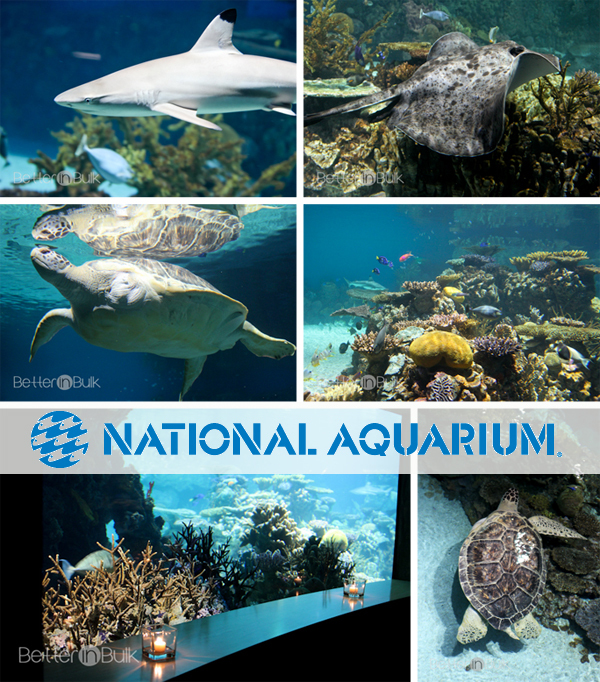 Features: the National Aquarium in Baltimore boasts 65 unique species of animals, over 600 animal specimens, 3000 corals and 260,000 gallons of water. Kids will love Calypso, a 500+ pound green sea turtle who’s missing one front flipper as well as Zeke and Zoe, “brother and sister” zebra sharks, 20 blacktip reef sharks, and so much more. I started taking my kids when they were babies and they’ve continued to enjoy the Aquarium as teens and tweens. Just beware that there are no strollers allowed inside the Aquarium, so if you’re heading there with little ones, they will need to be carried. The Aquarium does have backpack carriers that parents can borrow during their visit. 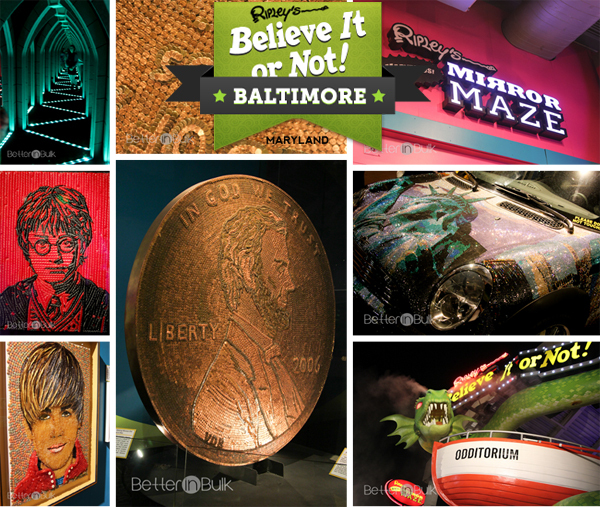 Our last stop was to the Baltimore Ripley’s Believe It Or Not Odditorium, and I can’t wait to bring my kids back to experience all of the oddities and fun discoveries there. I had a blast with several of my friends in the Mirror Maze (it is SO much harder than you might think!). After we left, they were getting the maze ready for the Halloween season with some creepy mirrors and scary surprises. Eek! In case you can’t tell in that picture above, the penny is probably 6 feet tall and made of individual pennies stuck together. Justin Bieber is made of different candies. The car is completely bedazzled. And Harry Potter is created using black and red Twizzlers. Brilliant! Features: the Odditorium is filled with unusual artwork and artifacts from around the world. In addition to the interactive, hands-on odditorium, families will enjoy the 4D moving theater and mirror maze…and Bubba Gump’s Shrimp downstairs! I would recommend Ripley’s kids of all ages, but I think it’s particularly engaging for older kids like mine. 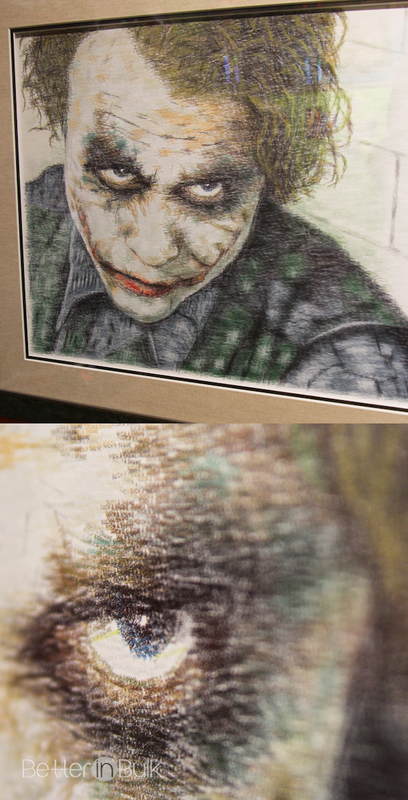 One of my favorite pieces of unusual art was this one, called “Such a Shame.” It’s a portrait of The Joker made completely of the phrase “Such a Shame” stamped over and over again in different colors. I had to get up close before I could believe it. Have you ever been to Baltimore? We were just at Port Discovery and the Aquarium, and my 3 year old loved both of them! The National Aquarium would be so much fun! Yes, I have been to Baltimore. Have you been to DePasquales? If not, get right over there and order one of their awesome sandwiches. 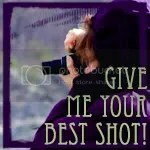 That last piece is so amazing! Looks like lots of fun, for sure.